[toc]Where the skin is concerned, it is usually not only the problems of acne and cuts that you might have to manage, but once these gets cured you might be also worried about the marks it leaves behind. Yes, acne, pimples, cuts, wounds and burns or any other kind of skin problems makes it highly prone to what we commonly know as scars. The main point of concern here is that scars has a major negative impact on the skin and tends to make it dull and unattractive. Today, 9 out of 10 people including men are highly concerned about the way they look and appear to others. This makes it all the more significant to treat the scars as fast as possible.The good news is that with certain tips and ideas that need to be followed on a routine basis you can actually achieve your goals of fading the scars and slowly getting rid of it completely. One of the first things that you need to do for reaching your goals of getting the scars cured is to know the type of scars that you are dealing with. 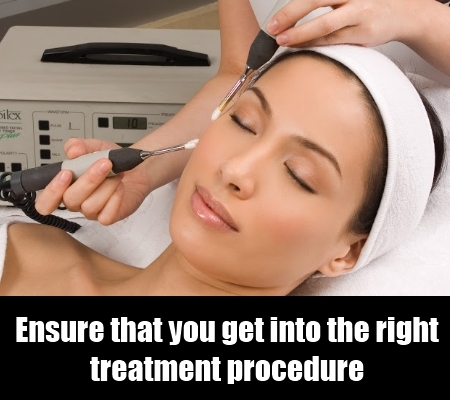 This will ensure that you get into the right treatment procedure. Each type of scar has a completely different cure approach to start with. Choosing the ideal remedy will only give you ideal and beyond expected results on the problem. 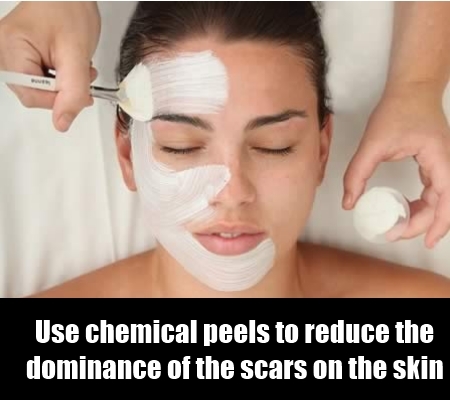 One of the safe ways to reduce the dominance of the scars on the skin is to use chemical peels on them. Application of a chemical peel helps in the removal of the first few layers of the skin and thus helps the scars to fade. A light burning sensation is the only temporary side effect of applying this method. However, it should be well administered by the doctor to give you a safe way. Herein, a professional will be able to suggest you the ideal peel for your skin type and scar type. Again, make sure you don’t step out in the sun for a day after application which makes the skin sensitive and thus highly prone to damage from the UV rays. To start with something simpler and 100 percent safer method of getting rid of scars, you can easily use fresh lemon juice to your rescue. The AHA content in the liquid is responsible for helping you with the aim. It removes the dead skin cells as well as help in boosting new cell growth. It also gives elasticity to the skin. 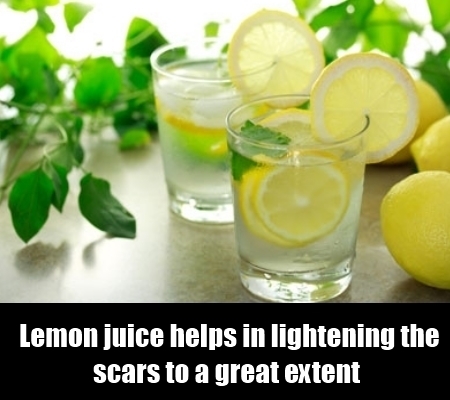 The natural bleaching property of lemon juice helps in lightening the scars to a great extent. Make sure you apply it at least once daily for 15-20 minutes before rinsing it off. Another of the safe and highly affordable natural cure that you can use for the treatment of scars and that too without any damage to the skin is the use of good quality and organic honey. 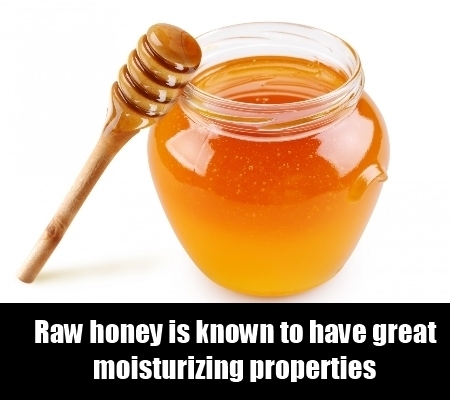 Raw honey is known to have great moisturizing properties. Tissue regeneration is one of the benefits that you get from this liquid application. To use the same mix about 2 tablespoon of honey with equal quantities of baking soda. This should be massaged on the affected area for about the next 3-4 minutes. Now place a warm washcloth on the area and leave it for a while. As soon as the cloth cools down, you can wipe the area with it properly. Follow it everyday to get visible outcomes in a couple of weeks. The anti inflammatory properties of onion extracts is really helpful in fading the scars and slowly help you get rid of it completely. 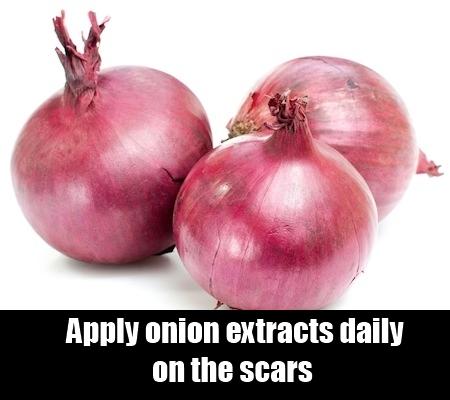 Gel form of onion extracts are available in the market that can be applied daily on the scars. This helps in inhibiting the production of collagen in the scars and thus results in making it less visible as the days pass. It will take about a couple of months before you see some difference, but it is 100 percent safe to use. 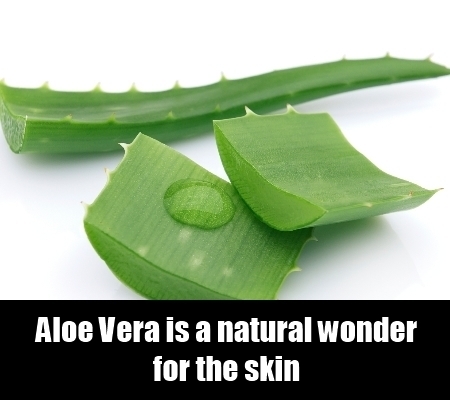 Well again, Aloe Vera is a natural wonder for the skin and is packed with innumerable benefits for the same. 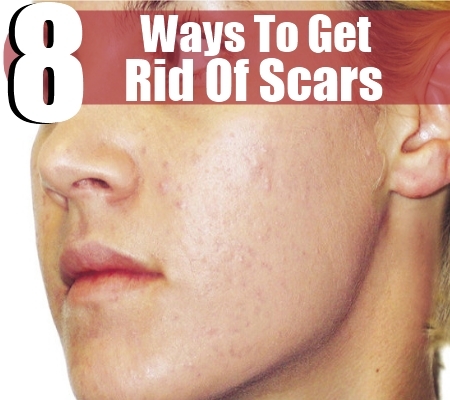 Among the many advantages that you can reap, getting rid of scars is one of them. The anti inflammatory properties of the product make it perfect for treatment of scars. It removes the dead skin as well. It repairs the damages skin cells and also boosts the new cell growth. It can be extracted at home and applied several times in a day on the scars and massaged to get ideal results or else it can be used as lotions and creams available in the market. You can easily massage some extra virgin olive oil on the scars each day for about 10 minutes. This is one of the easy ways in which you can reduce the scars and slowly get rid of it. The high levels of vitamin E and K in the liquid is what will help you in the long run. It is also rich in antioxidants which are a boon for the skin. Make sure that after about 10 minutes you wipe off the oil from the skin using a clean washcloth. Anti bacterial functions is what this beneficial liquid is known for. 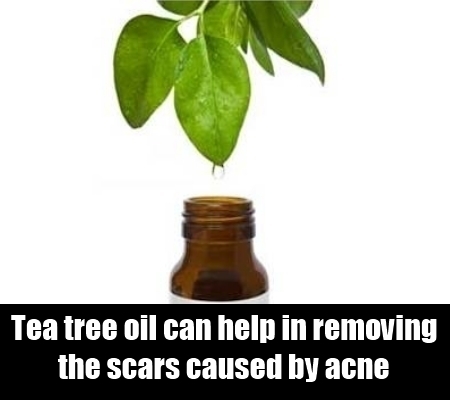 This can help in not only removing the scars caused by acne but also the ones that are surgical scars. Dilute the liquid with warm water before application on the skin. It can be used as soap on the affected areas and then rinsed after a while. Stinging or tingling sensation is one of the after effects of the application but is nothing to be scared of. However, if it persists, it is better you consult a professional before using it. This is one of the good ways to get rid of any type of scars.